Recently, I just purchased a home down the street from where I used to live in SW Minneapolis and am almost moved-in. The joy of purchasing a home in this area is that the vast majority of houses were built in the 1920s. That is to say, you will need to do some work, get your hands dirty, and perhaps cry a little with frayed wires in your hand before you smile with joy at the place you now call home. Excuse me while I disappear into the floor to grab some vino. Oh your decorative plastic boxes are nice. $30 a piece you say? I think I’ll just keep the cardboard boxes the wine store gives me for free. How do you like my new reading lamp? 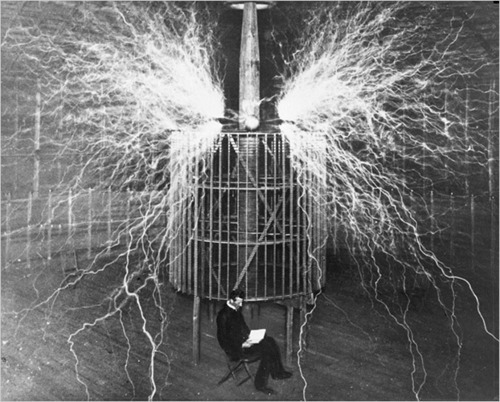 Worked for Tesla. A basement storage closet was my obvious choice (chosen the first time I toured the house) because the basement is always fairly cool, the temperature doesn’t fluctuate too much, it sits at a nice humidity and it’s next to the future home of my studio (A guy’s gotta have hobbies). My problem with hiring someone to do it was that the space was fairly limited and I generally don’t like to pay people to do things I can do myself. My first problem with the options you can buy at a store is that 99% of them are all completely horizontal and I prefer the slight angling of the bottle because of science, yadda, yadda, oh, who am I kidding, it mainly just looks better*. Second, I think most of them are cheap ! @#$ and I don’t like to pay…you get the idea. Therefore, I went with the third option. DIY. The Batcave is in the back. But a certain female and the City of Minneapolis wasn’t going to approve, so I opted to scale back the storage plans to what could fit into the closet. What did I use? I went to the Menards garden department and got two trellis fences and some stakes because that’s where all wine cellar DIY enthusiasts go. Here’s an itemized list for your shopping assistance. Some unrelated cool thing you just saw sitting there at Menards that you totally weren’t going in there to get. It’s free with rebate, right? I took one of the fences and cut the legs by 1 inch so when the bottle was placed between the normal sized fence and the shortened fence it would have a slight angle. Then I screwed the two fences together with the stakes that I had cut into 7 inch pieces (5 pieces did the trick). Then I put bottles in it after making sure it stood level on the ground. Ta da! 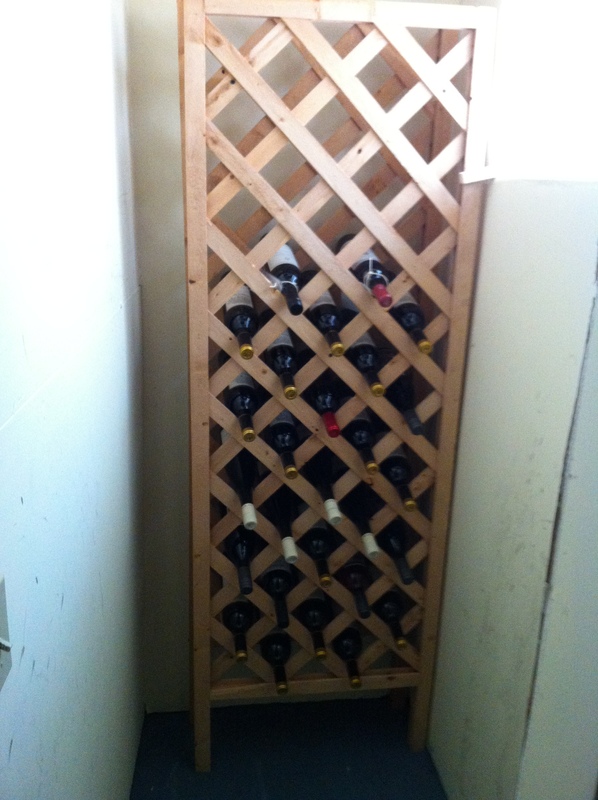 20 minutes and ~$40 depleted after beginning, I had created my own wine cellar storage that holds 37 bottles. Don’t forget to anchor it to the wall! The nice thing about this method is that I can expand once I figure out a larger spot to put it in by just repeating the process. And yes, I’m blocking the sun light streaming through that window now. A place with cool and stable temperature. A place free of lots of vibrations (even good ones). A place with little to no sunlight. A place that is humid enough so the cork doesn’t dry, but dry enough so mold doesn’t grow. 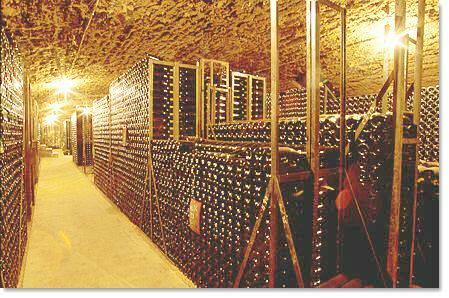 Bottles should be stored on their side at a slight angle (Excepting the bubbly; that should be stored upright). *There is actually a good reason for storing at a slight angle, however debatable. If you look at the surface area on the wine the bubble of air has when the bottle is directly on its side (bubble on the side of the bottle) compared to when the bottle is angled (bubble at the bottom corner of the bottle) you will notice just a bit less air touching the wine. The bottle aging process (oxidation) is supposed to then have a gentler approach. Will you notice when you pull out your bottle that has been sitting there for a year? Probably not, but you will be able to see the label better when you’re searching for it. I am passing this one along to the hubby….really in hopes that he can make the first picture an actuality 🙂 I would love to just swing open a door in the floor and go down a wrought iron, spiral staircase to a picture like the batcave one 😉 well….I can dream anyway! 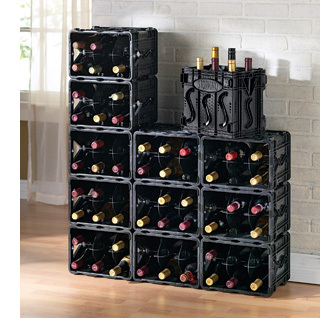 Glad you purchased a home with room for a wine storage area! on August 28, 2016 at 11:46 am | Reply Simple Epic Ways to Use Latice in Your Household - Homesthetics - Inspiring ideas for your home. I’m a little bit uncertain about one thing from your build instructions. The front facing fence is cut to be shorter? Right? That is correct. I took a full inch off, but that was mainly because the floor was uneven (old house). 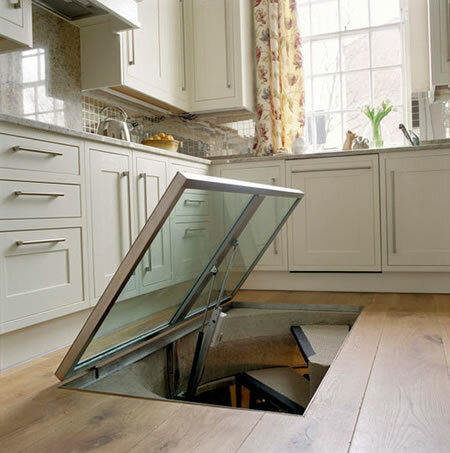 If you have a perfectly level floor, you’d probably only want to take 1/4” – 1/2” off at most. This will give the bottles a slight tilt towards the cork when they are placed. If you don’t want to bother with it though, your bottles will be just fine assuming you aren’t a wine collector who will be storing some wines for decades to come.